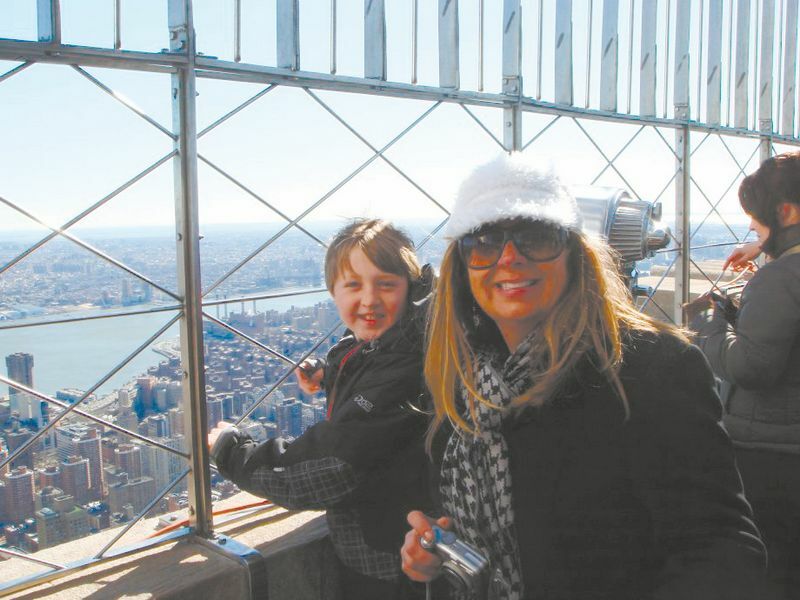 Special to the DailyJacob Poehls and his mother, Nora Hall, stop for a photo from the top of the Empire State Building. Local third-grader Jacob Poehls took New York City by storm after he caught America’s attention when he was featured on Thursday’s edition of NBC’s Today Show. He and his mother, Nora Hall, spent the next few days sightseeing. They rode a horse and buggy through Central Park, watched “Shrek” on Broadway and visited the 9/11 memorial at Ground Zero, among other excursions. Jacob said he got to see the Empire State Building and travel through an underwater tunnel. After the show Thursday, people stopped the 8-year-old on the street to ask about his camouflage attire. “I saw a lady come up behind him, she said: ‘That was a wonderful story,'” Hall said. Even a New York City police officer stopped to talk to Jacob about his outfit. Jacob’s hat, bandana and CamelBak were shipped from Iraq by his Marine pen pal, Sgt. Baltazar Pineda, with whom the boy had a first-time conversation on live television. Despite learning disabilities, Jacob has learned to appreciate reading and writing through correspondence with his pen pal. The mother and son ” who attends Summit Cove Elementary School ” were flown to New York and put up in a hotel for a feature video that drew tears back home in Summit County.